Have we mentioned how much we love this event? For those that don’t know, we host a Happy Hour Showcase every Wednesday. After all, you can’t really go wrong with free booze and direct access to emerging NYC startups. It’s a great opportunity for companies to present their work without the pressures of a pitch competition. Past companies have loved the format because it gives them the chance to interact with the crowd in a meaningful way. No stage, no barriers. Following the 5 minute presentation and Q & A, guests are invited to come up and discuss the company further with the founders themselves. The Showcase Startups appreciate the informality and get to network with fellow entrepreneurs, investors, and potential customers. They rave about how they’ve never been to an event where the such an engaged audience. 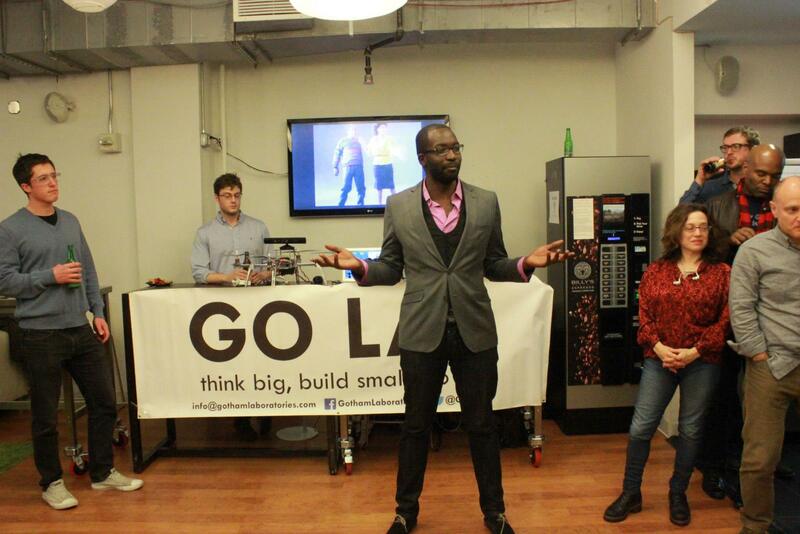 It’s also free publicity including SquadUP social media, special placement in Gary’s Guide, and the AlleyNYC newsletter. Some companies have even used the event to get candid user feedback before they launch a new feature or product. Guests love it all. They may have been roped in by the free beer, wine, and liquor, but the regulars know it’s all about the networking. Whether they’re in the tech space, making the transition to the startup world, or still stuck in a suit, the diverse crowd is a draw all on its own. It’s rare that people get the chance to have 1-on-1 conversations with members of founding teams. AlleyNYC sees it as an opportunity to bring new faces into their space and show off what a co-working community is all about. The event can also help companies within the space gain recognition and even test a new product, feature, or idea on the crowd before they move forward. And of course it’s great for SquadUP because the event serves as an example of how the right event planning platform can help an event really take off. We also get to network with a very unique crowd and awesome companies, many of which we’ve continued to work with for launch parties, sponsorship opportunities, and helping them connect with likeminded people. If you’re in New York City and have yet to make it out to this event, you’re missing out. 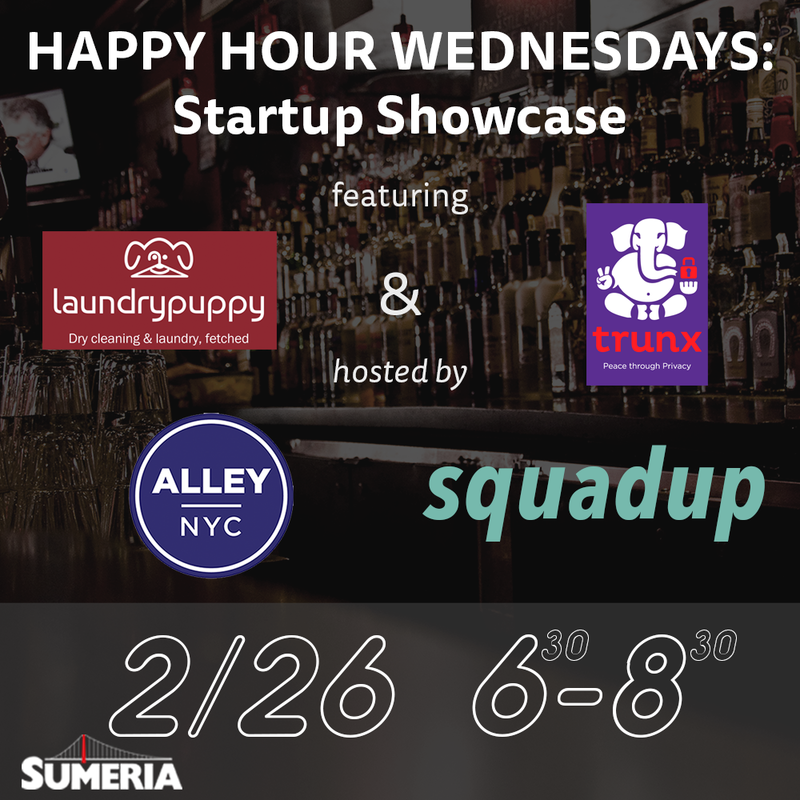 Tonight we’re featuring Trunx, a San Francisco based app bringing you photo peace through privacy and Laundry Puppy, providing free laundry and dry cleaning pick up in NYC. Register here for free and join us for a drink, tonight! If you’re interested in featuring your company at a future Showcase, or have a company in mind that you’d like to see, leave us a comment or tweet @SquadUP.